‘A new Trailblazer from Elif!! 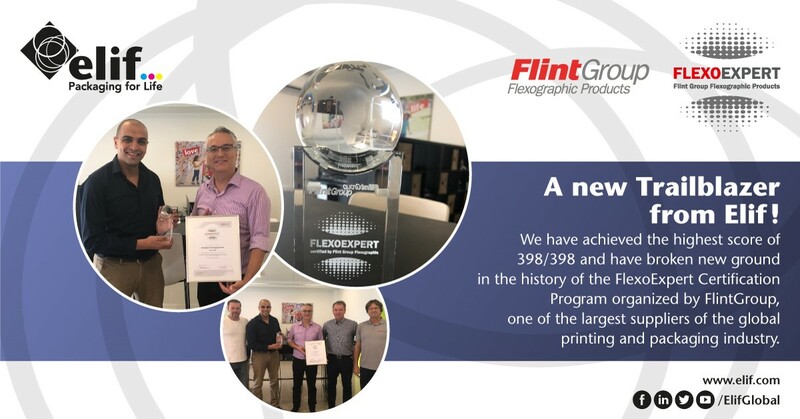 We have achieved the highest score of 398/398 and have broken new ground in the history of the FlexoExpert Certification Program. The champion finalists at the Crescent and Stars of Packaging competition; ElifHyPEr and Elif2Twist! 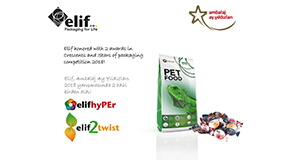 ElifHyPEr and Elif2Twist were among the champion finalists at the Crescent and Stars of Packaging competition. 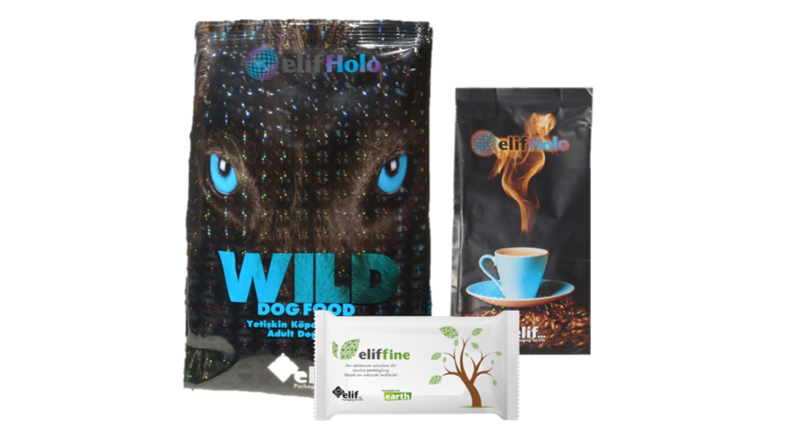 The innovation solutions from Elif have also been entitled to take part in AsiaStar and WorldStar, the most prestigious competition events of the packaging industry. The sweetest version of sustainability: Elif2Twist! 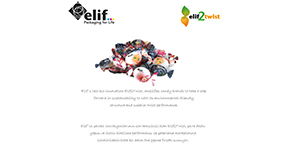 Elif’s last eco-innovation Elif2Twist, amplifies candy brands to take a step forward in sustainability to with its environmental-friendly structure and superior twist performance. Elif continues to wing the kids into a beautiful future with its’s 'Platinum Wings'! Last year, UNICEF Turkey National Committee's first 'Platinum Wings' supporters, Elif, with the awareness of social responsibility has continued to support UNICEF this year too. 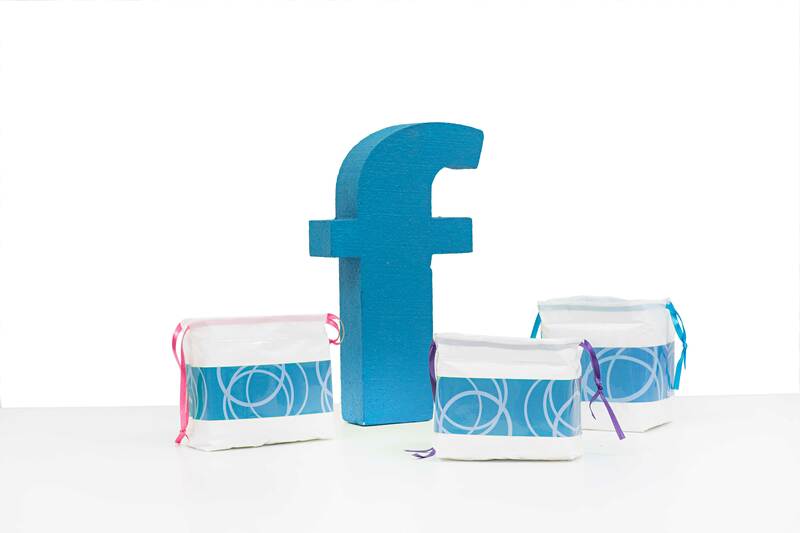 Elif2Pouch serves 2030 recyclability targets of European Commission! Elif is constantly contributing to environment and human life with neo-eco packaging solutions. Elif’s new pre-made pouch solution, Elif2Pouch, combines sustainability, convenience, performance and cost-efficiency. Elif continues to invest in the future by expanding its ‘Trigeneration’ investment! Elif has invested in the future with the 'Trigeneration' project, which has been in the scope of 'NOsume Energy' program in the past years, Elif continues to contribute to the protection, improvement and sustainability of the environment and human life through its new Trijeneration investment, which increases its capacity by 100%. 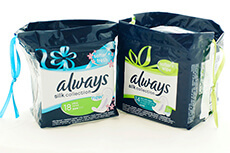 Elif Continues to Enhance Its Pre-Made Bag & Pouch Capacity Through New Investments! 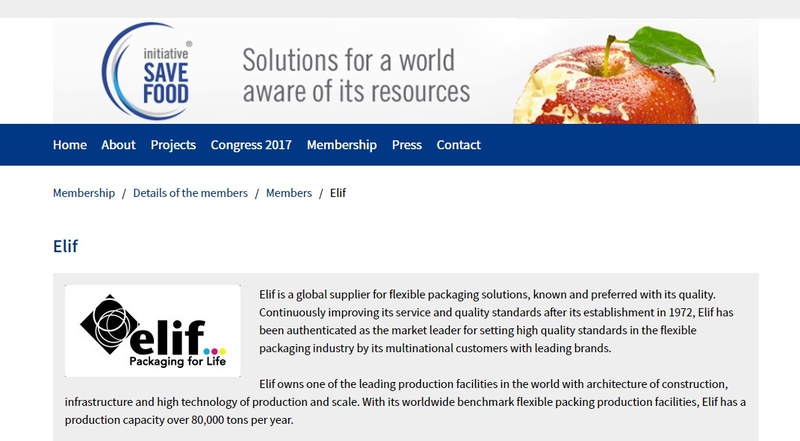 Elif, the global supplier of the flexible packaging industry, increased its capacity by 50% by making a significant investment in its pre-made bag and pouch lines in order to be able to provide advanced products and new features for the changing and developing customer needs. Elif is on LinkedIn with the renewed Company page! Elif, who grew rapidly with its dynamic, informative and entertaining shares in social platforms, moved LinkedIn's page to its "Company page" position and presented it to the publication. Elif keeps turning out the lights to enlighten the future’! Elif supported the 'Earth Hour' movement in the fight against climate change by turning off the lights at 20:30 on the last Saturday of March this year as it was in the past years. Elif celebrated 8th of March Women's Day with women empowerment projects! 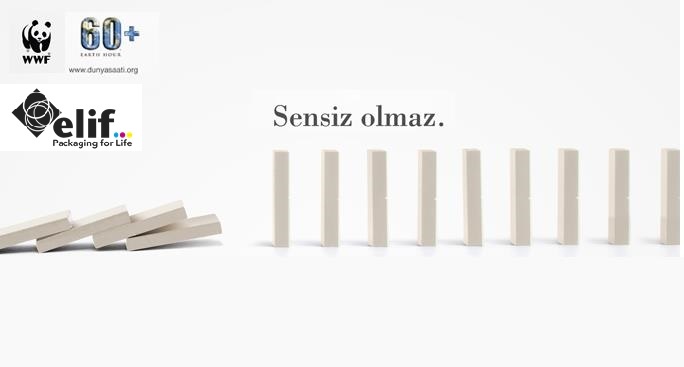 Elif emphasizes the importance of equality between women and men at every opportunity and aims to increase the awareness of the individual regarding equal representation of women in political, social and business life and equality of rights. This year, Elif celebrated ‘March 8 Women's Day ' with all its employees by carrying out activities that would serve this purpose. Elif creates difference with its approach of “Packaging for Life” and innovative packaging solutions. Elif scores an A on the BRC/IoP accreditation 7 years in a row! Once again, this year, Elif has earned the Class A certificate in BRC/IoP Global Technical Standard for Packaging and Packaging Materials, which is the proof of its constant investments aimed at comprehensive quality and hygiene management! Elif climbed 22 steps at once in the ISO Top 500 List! Elif, which has demonstrated the biggest raise in its sector in the recent years in the Turkey's First 500 Top Industrial Organisations (ISO Top 500 Companies) announced by the ISO - Istanbul Chamber of Industry, continues to reach the summit by climbing 22 steps at once also in 2016! 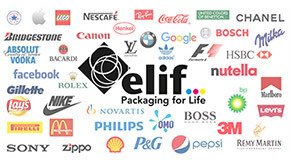 Elif became the first "Well-Known Brand" of the packaging industry! 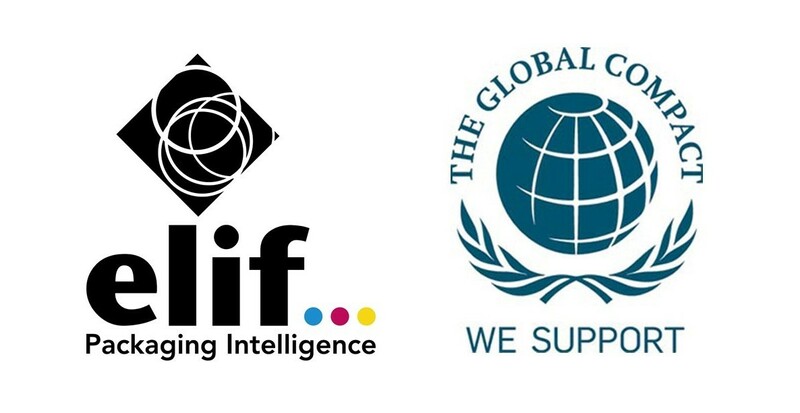 Elif, a brand that makes a difference with its point of view and quality in packaging industry and with products highly preferred in both national and international arenas, was accepted as a "Well-Known Brand" by Turkish Patent and Trademark Office. Elif is the holder of the first ‘UNICEF Platinum Wing’! Elif has been the first supporter of UNICEF’s “Platinum Wing” program in Turkey. 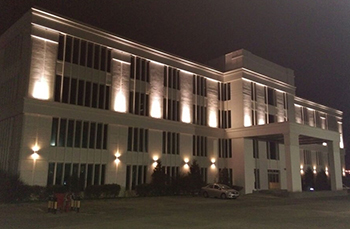 The company is the first Turkish institution conferred with the ‘UNICEF Platinum Wing’. Shelter animals are protected from cold by Elif! 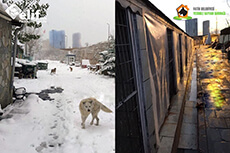 Elif signed a new effort to protect shelter animals from cold weather, making an addition to the social responsibility projects it carries out for stray animals in need of assistance and protection. 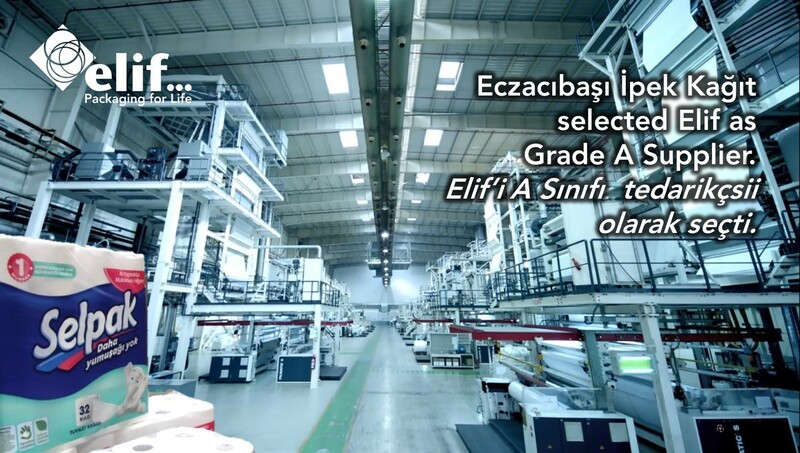 ElifHybr is among the finalists of WorldStar as the first hybrid printing technology of Turkey! 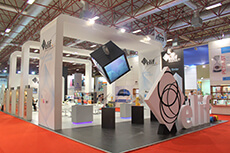 Elif, the “Global Supplier” of the flexible packaging industry, has been named among the finalists of WorldStar 2017 with the hybrid printing technology ‘ElfHybr’, the latest ring of the chain of innovations made for providing solutions and advanced products that meet the rapidly changing and developing requirements of the industry. Great attention on ‘ElifHybr’ Hybrid printing technology of Elif at FachPack 2016! Elif continues to support employment of women! Constantly emphasising the importance of the equality of women and men and the difference made by the touches of women in every field of life, Elif has actualised one more project to include the power of housewives in the national economy. The wind of ElifHybr during the “Crescent and Stars of Packaging 2016” event! ElifHybr was among the champion finalists at the Crescent and Stars of Packaging competition. The innovation solution from Elif has also been entitled to take part in AsiaStar and WorldStar; the most prestigious competition events of the packaging industry. Elif continues to embrace shelters! Elif has taken one more important step in its social responsibility project this year by continuing to support helpless stray animals that are desperate for protection. 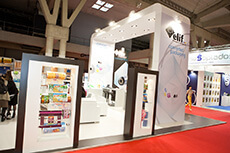 Having become a symbol of distinction and quality within the flexible packaging industry, Elif, by adding a new ring to the chain of its innovations, has presented its customers with the hybrid printing technology ‘ElfHybr’, which aims to introduce and offer new and advanced products for the needs and demands of the evolving and developing packaging industry! 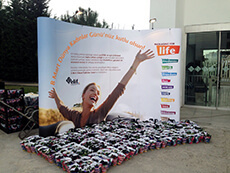 Elif celebrated the “World Environment Day” with the participation of all of its employees! 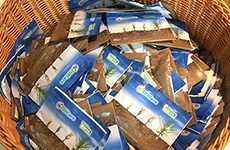 Taking a further step in environmentalist activities as part of its awareness of environmental issues and campaign against climate change, Elif distributed 10,000 pinus pinea seeds to its employees in the scope of “June 5th – World Environment Day” celebrations. Elif leaves its mark on WorldStar 2016! After hitting the headlines with four different awards at the ‘Crescent and Stars of Packaging’ Competition which was organised by the Packaging Manufacturers Association (ASD) for the sixth-time last year, Elif has also left its mark on the WorldStar 2016 competition held by the World Packaging Organisation (WPO) by receiving four awards in four different product categories! 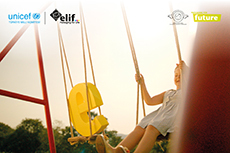 Elif invests in future with ‘Trigeneration”! Adding a new chapter every day to solutions created for people as well as the environment based on its “Packaging for Life” approach, Elif invests in future yet again with its project “Trigeneration” put into effect in October. Elif was on stage to receive its award in the ÇEVKO Green Dot Awards Ceremony with its leading projects carried out under the titles of sustainability, environment and waste management. Elif returns with 4 awards from the Crescent and Stars of Packaging Competition! 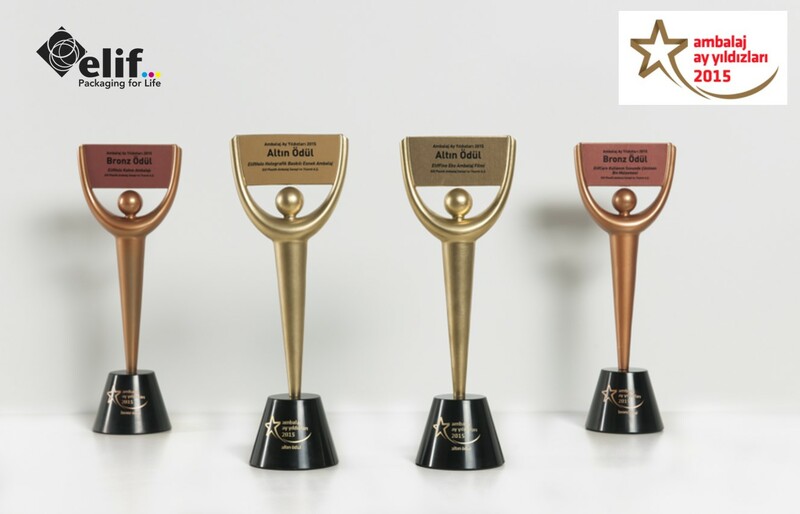 Elif makes its mark on the stage with 4 awards in the Crescent and Stars of Packaging Competition organised for the 6th time this year by the Packaging Manufacturers Association (ASD)! “ElifFine”; Elif’s new packaging solution with its environmentally friendly structure, unique formulation and paper-like texture! 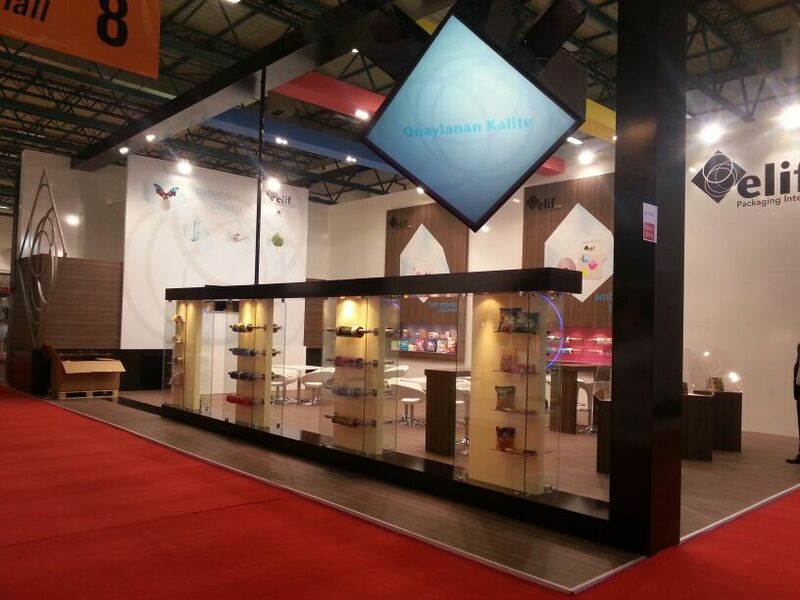 Elif creates a difference with 4 of its packaging solutions in the Crescent and Stars of Packaging 2015! Participating with four products in the 6th Crescent and Stars of Packaging Competitions held by the Packaging Manufacturers Association (ASD) this year, Elif has left its mark on the competition with four of its products ranked among finalists! Significant thanks to Elif from LÖSEV! 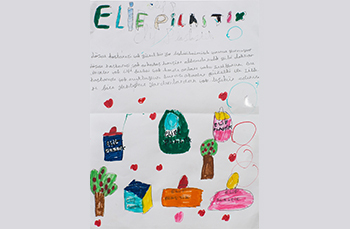 Elif was honoured with a painting drawn to express their gratitude by the children of LÖSEV, over which Elif was indescribably joyful. 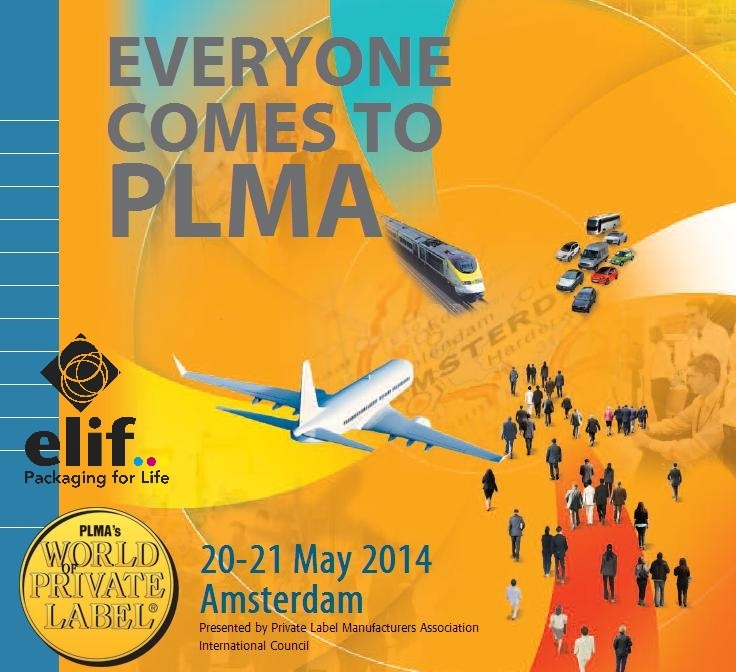 Elif’s 3D Holographic Printing Technology has created a wind of innovation in Pack-Ist 2015! 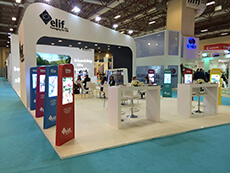 Elif, the global supplier of flexible packaging sector, aiming to offer the best solutions to its customers with its innovative approach, professional team and the latest technological equipment, has made its mark on PACK-IST, the first and only flexible Packaging Fair of Eurasia organised for the 3rd time this year. Elif is proud to offer its customers 3D holographic printing! 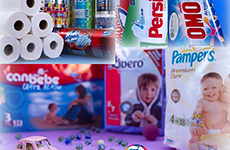 Elif offers 3D printing and holographic printing as an optimum solution for FMCG companies. Elif’s exclusive technology enables brand owners to differentiate their products with a premium packaging concept that offers a stimulating visual experience for their consumers. 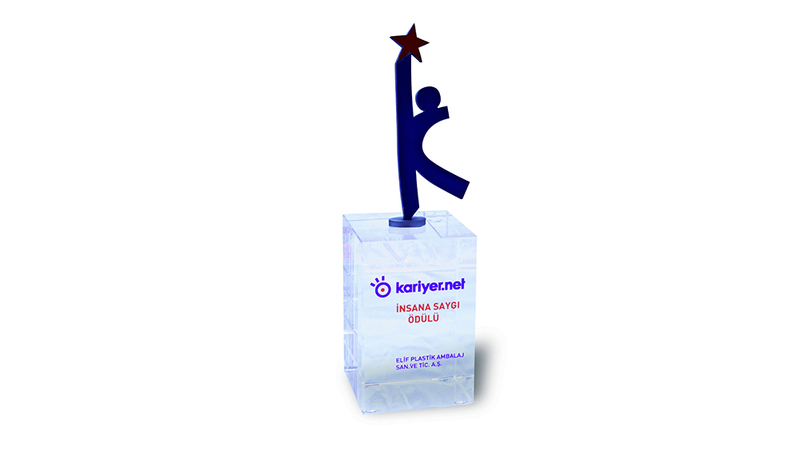 Special package solution of Elif brought “WorldStar Award” to Balparmak Katla Balla! 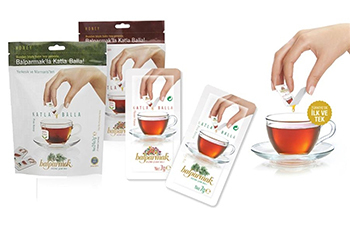 Developed and manufactured by Elif for Balparmak, Balparmak Katla Balla Package got the “WorldStard Award” in the most prestigious packaging competition of the sector, organised by the World Packaging Organisation. 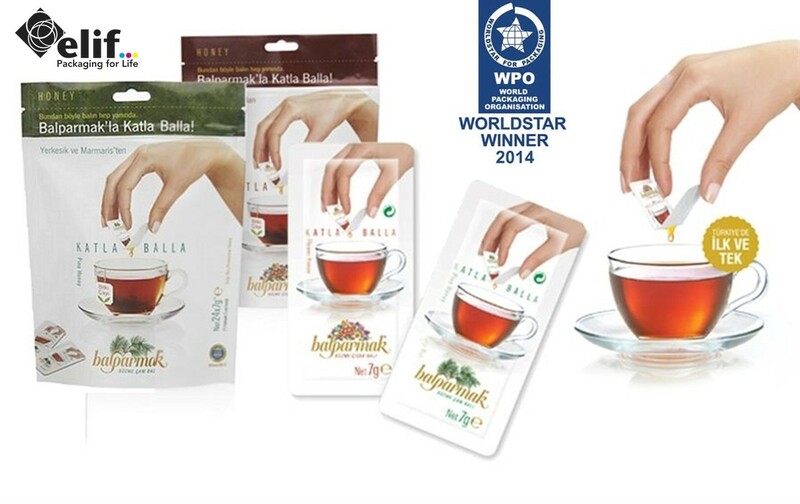 “WorldStar Award” is the 4th award honouring the Balparmak Katla Balla Packaging. Special Prize from Istanbul Chamber of Industry to Elif’s “NOsume Energy” Project Saving 10.000 Trees for Earth! Istanbul Chamber of Industry (ISO) awarded the Special Prize to the Compressor Heat Recovery project put into practice by Elif under its energy consumption minimisation program at its 14th Environment and Energy Awards. Elif took its place in the "Turkish R&D 250" ranking list, which presents data and intentions regarding the private sector in Turkey. The ranking is also important as being the only R&D research in Turkey. 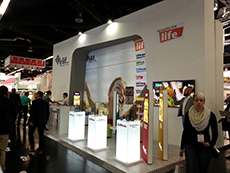 Elif attracted the attention of the visitors at Gulfood Manufacturing 2014, where it introduced its new factory in Egypt and its concept 'Packaging for Life'. Packaging for Life for Kids with leukaemia! 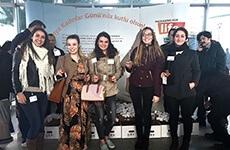 Elif continues to support little hands reach for the sun by sustaining its traditional LOSEV social responsibility projects with LOSEV Shop Transport Bag Sponsorship. 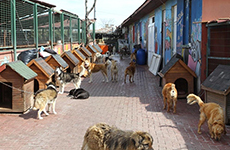 Elif, enhancing day by day its projects that add value to life in line with its sustainability policy and considering the social responsibility projects through a wide framework, supported Yedikule Animal Shelter with a donation of cat and dog food. 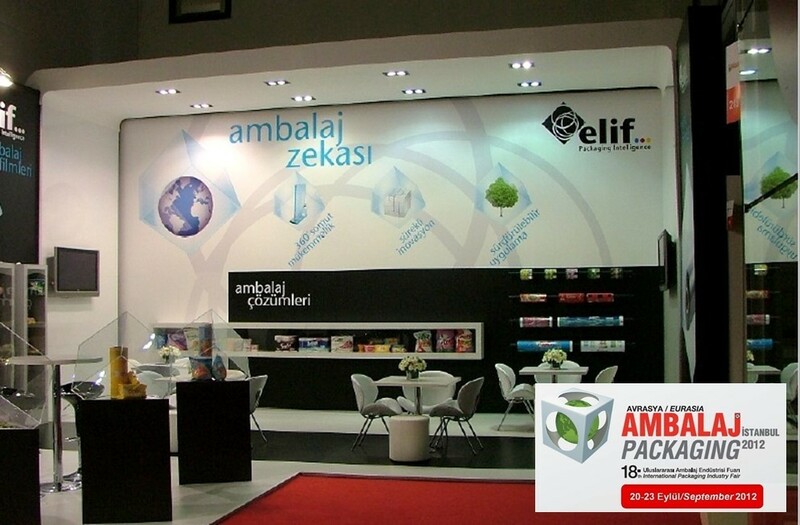 Between 18th and 21st September 2014, Elif welcomed its visitors at Eurasia Packaging 2014 in Istanbul, the international packaging event connecting continents. Elif is one of the first packaging companies, which awarded with the 2013 version of ISO/IEC 27001 Information Safety Management System Standard in Turkey. 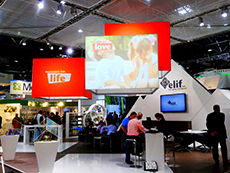 Elif, the global supplier of flexible packaging solutions, introduced its new vision of “Packaging for Life” at INTERPACK 2014 in Düsseldorf, Germany: Elif’s packaging reaches millions of people all around the world every day, helping create a happier and a healthier life. ElifCare, future of sustainable packaging! 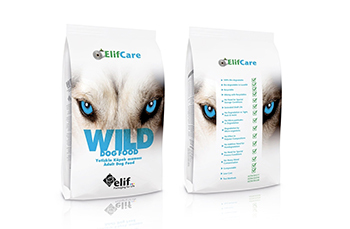 Elif offers a new bio-degradable flexible packaging material for brand owners with its patented ElifCare bio-degradable solution. Bringing individuals of different histories, cultures, approaches, perspectives and care experiences in order to enrich their ideas, solutions and flexibility, Elif, once again was granted ‘Human Respect Award’ by Kariyer.net. 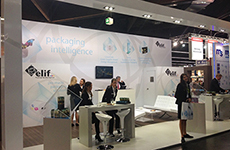 Elif demonstrated its innovative ribbon bag solution and its award-winning snack packaging solution at FachPack 2013 in Nuremberg, Germany. 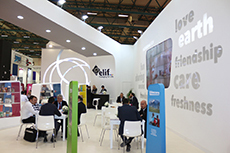 Elif attracted an impressive attendance with its latest innovative and sustainable solutions throughout the Eurasia Packaging Fair 2013 in Istanbul. Golden award for innovation at flexo printing technology! 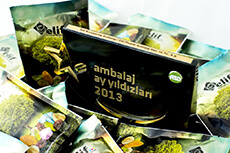 Elif wins golden award in Crescent and Stars of Packaging 2013 with its snack packaging produced with the latest packaging technologies and techniques. 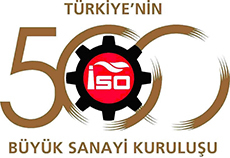 Elif advanced 28 steps on the ISO 500 2012 list (500 Largest Industrial Enterprises of Turkey) announced by Istanbul Chamber of Industry. 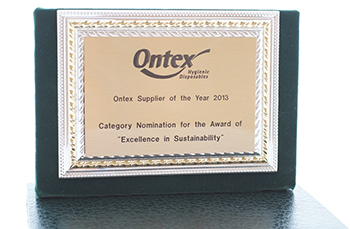 Elif, globally well-known supplier of flexible packaging solutions, received a nomination in the ‘Excellence in Sustainability’ category for the prestigious ‘Ontex Supplier of the Year 2013’ award. 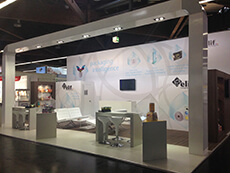 Elif announced its breath-taking new packaging solutions at the UK’s biggest packaging fair. Elif, leading company in the flexible packaging industry, greeted the sector professionals with its brand new innovations at Euroasia’s first and only packaging fair dedicated to flexibles. 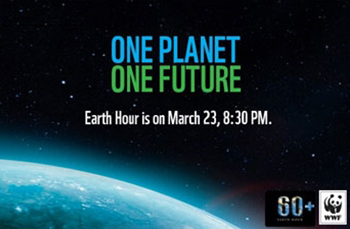 Elif turned its lights off on Saturday March 23rd at 8:30pm-9:30pm for the Earth Hour, the world’s largest environmental movement, together with millions of people around the world. 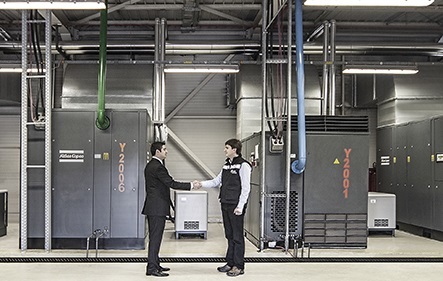 The first large-scaled compressor heat recovery project, implemented in March 2012 by Elif, has resulted in 330 tons reduction in CO2 emissions in its first year. Based on the achievement of these successful results, Elif will have contributed equal to the benefit provided by planting 10,000 trees in the campaign against global climate change. 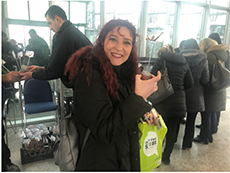 Innovative in developing solutions to advance sustainable packaging solutions, Elif, hosted a technical trip to SusFoFlex Consortium in its benchmark factory located in Istanbul. 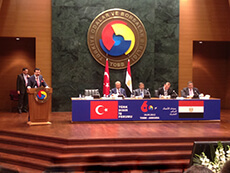 Elif celebrates its 40th year of establishment with a key stone investment in Egypt. Elif has officialized its investment for a new state-of-art factory in Egypt with an agreement in the witness of Hisarcıklıoğlu, Atalay and Çağlayan. 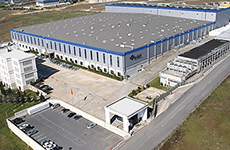 Elif, offering packaging solutions with a unique product and service quality to customers all around the world, took its place as the 273rd biggest exporter on TIM1000 list with a 12.3% growth in exports. 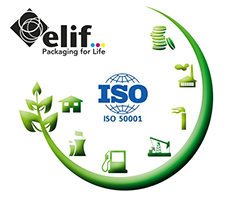 Elif added the obtaining of ISO 50 001 and ISO 14 064 standards into its targets, parallel to its sustainable growth strategy. In this context, Elif started its studies concerning the energy management system and carbon footprint reporting in June. In line with its principle of sustainability and social responsibility approach, Elif achieved yet another value-added project by donating hygiene products and cleaning materials to Bahçelievler Social Services and Child Protection Foundation. 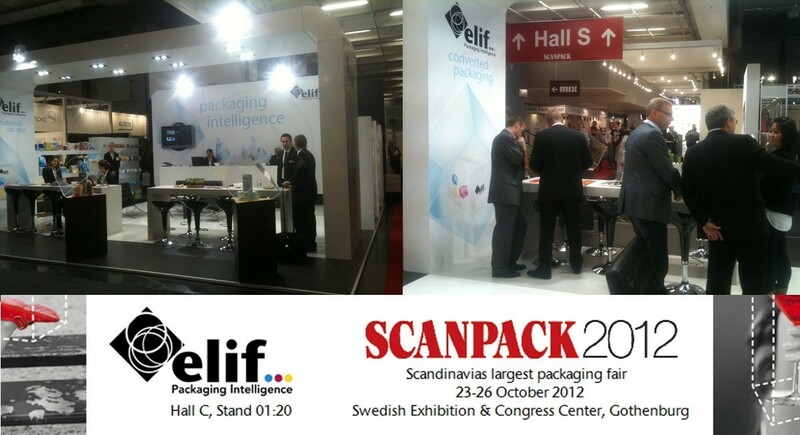 Elif’s successful participation at the leading packaging show HISPACK 2012 reinforced its international dimension. 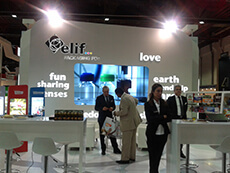 Elif presented its quality range of packaging solutions for professionals in the region. Developing its business activities in order to promote productive and cost saving methods and technologies, Elif gained another international success by being announced among the companies that earned the highest score possible in P&G Supplier Environmental Sustainability Scorecard. Successfully implementing projects in the name of globalisation in its 40th year, Elif has launched its new web site equipped with recent information technologies and a completely new design. Elif implemented the largest scaled heat recovery project not only in Turkey but also around the world. 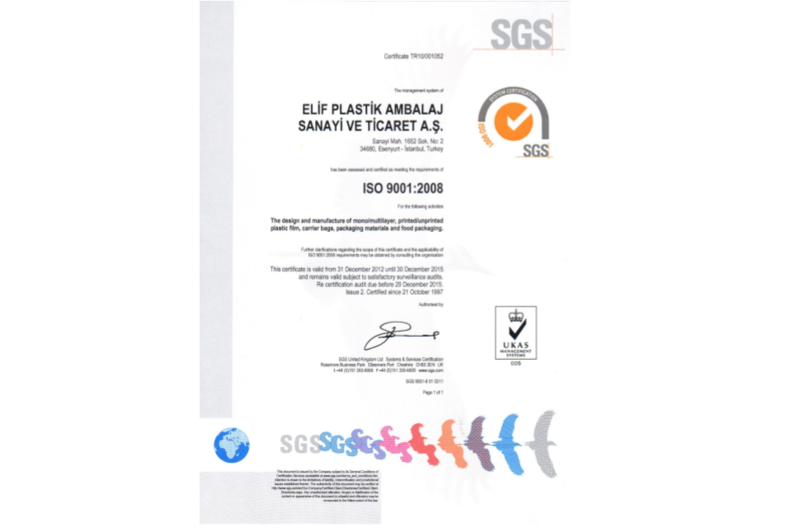 Elif, one of the leading companies in the manufacturing sector with its sustainability approach and successfully accomplished projects, has become the first company in the packaging sector by fulfilling the competencies to get the Environment Permit on 15th March 2012. 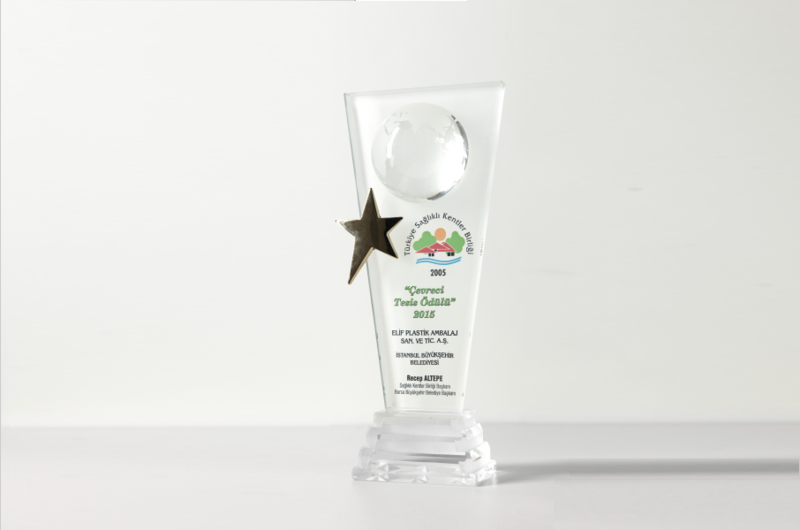 Elif’s commitment to a healthy and sustainable development of its human resources and its awareness of responsibility towards the society are honoured with Kariyer.net’s ‘Human Respect Award’ as a result of its consistent Human Resources Policy based on qualified recruitment and sustainable development. 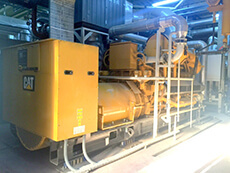 Elif, one of the leading companies in the manufacturing sector with its sustainability approach and successfully accomplished projects, has realised its Green Energy Project on 1st January 2012. Elif has kicked off with a giant transition project that will replace its existing ERP system with a full-scale SAP ERP system. Integrating all the activities under a single corporate resource management platform in order to manage its sustainable and qualified growth in the most efficient way. Elif is honoured with the "Employment Leader of the Sector" award from Yenibiriş, the leading online job search and job recruitment portal of Turkey. 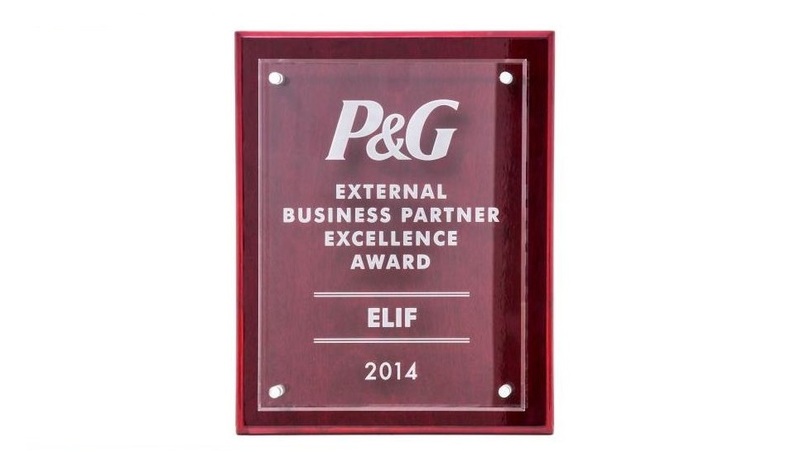 This award is a proof of the opportunities provided by Elif in the area of employment. 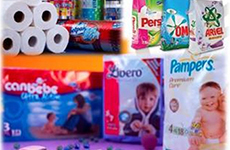 In Turkish Packaging Design National Competition "Crescents and Stars of Packaging 2011", İpek Kağıt gained two awards with Selpak Toilet Paper Biodegradable Packaging and Selpak Paper Towel Easy Open & Easy Close Pack developed and produced by Elif. A hat trick for İpek Kağıt and Elif!